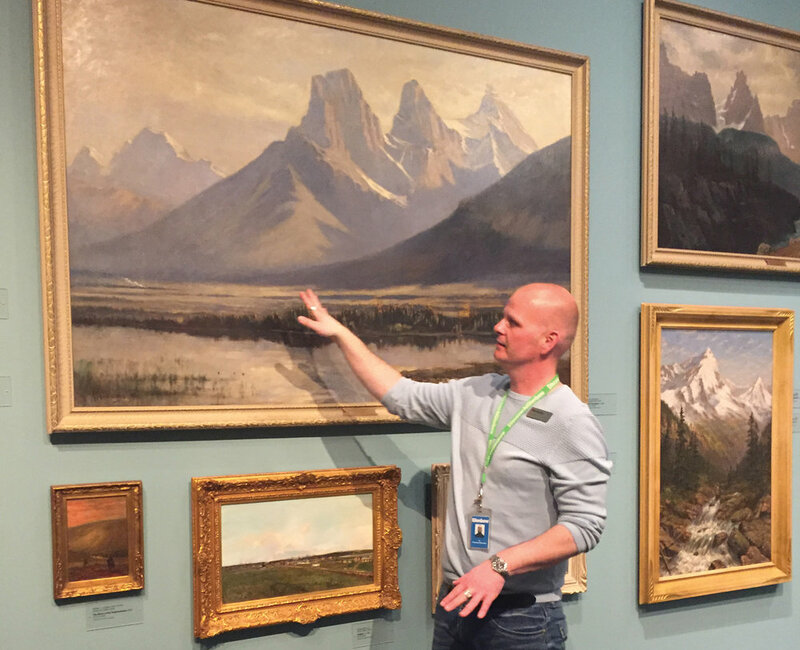 Glenbow educator Ty Larner points out some familiar landscapes to evoke memories during a dementia-friendly guided gallery tour. Photo courtesy Glenbow Museum. Making art and culture accessible to everyone helps build an enriched and inclusive community. That’s the thinking behind the Glenbow Museum’s special access programs—including a new one for people with dementia. 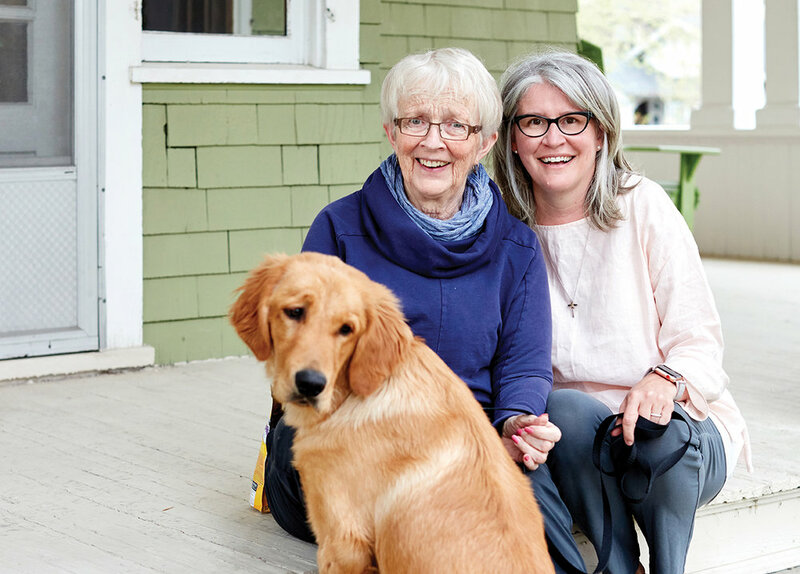 The program got its start thanks to Shelley McLellan, executive director and owner of Aspen Care Calgary, a home care provider and long-term care home that specializes in dementia and palliative care. McLellan felt museum visits would enhance her clients’ quality of life, and she approached the Glenbow about a dementia-friendly tour. “When we go to the museum, our clients are stimulated in ways we as caregivers can’t give,” McLellan says. At the Glenbow, museum educator Ty Larner was inspired by the idea, and helped develop the program using sensory learning techniques to guide participants in an exploration of gallery spaces. Glenbow tour participant Anne Stenhouse, centre, with Aspen Care Calgary executive director Shelley McLellan and canine friend Newman. Photographed by Erin Brooke Burns. After the gallery tour, participants visit the studio where they create visual and tactile sensory collages to reflect on their experiences. The initial tour in April was a success. “Participants responded with great enthusiasm, and there were a lot of smiles,” Larner says. “I believe tours like this help to integrate our loved ones back into society where they belong,” McLellan adds.